In honor of Women's Equality Day, read about California's first female lawyer. 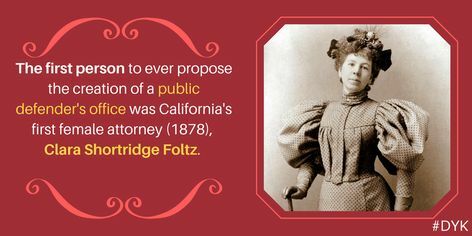 Clara Shortridge Foltz was a trial lawyer and pioneer of the Women’s Suffrage Movement. In 1878, she was the first woman to join the bar and practice law in California at age 29. She became the first female deputy district attorney for the city of Los Angeles. Foltz paved the way for women to attend UC Hastings Law School and to pursue law as a career. 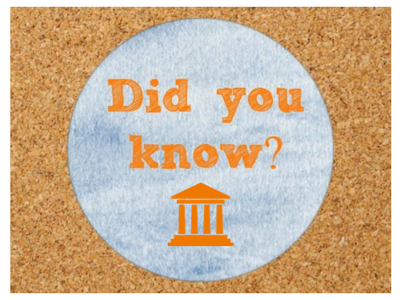 In 2002, the Los Angeles criminal courthouse was renamed after Foltz to commemorate her contributions to California.